NASA still hasn’t heard from the Opportunity rover, but at least the agency can see it again. 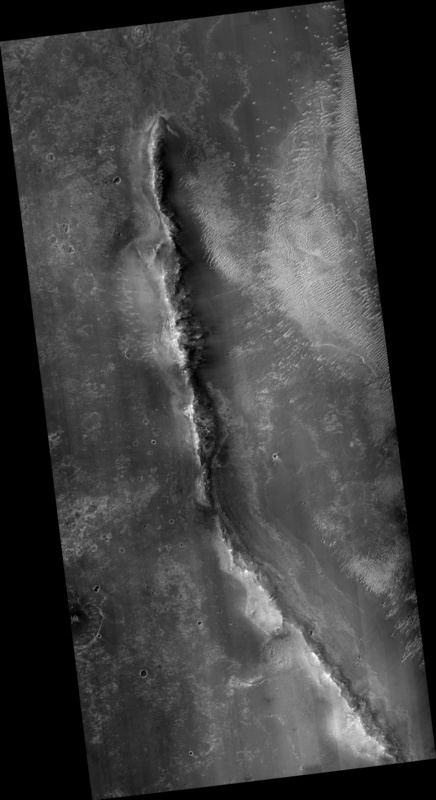 A new image produced by HiRISE shows a small object on the slopes of Perseverance Valley. 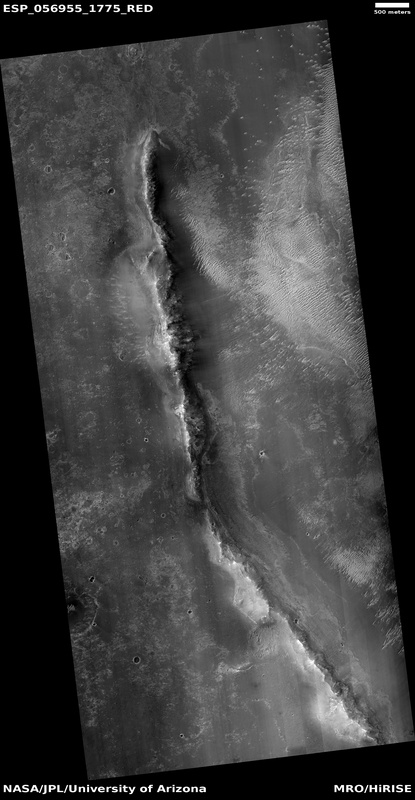 That object is Opportunity, which was descending into the Martian valley, when a dust storm swept over the region a little more than 100 days ago. That storm was one of several that stirred up enough dust to enshroud most of the Red Planet in a planet-encircling dust event and blocked sunlight from reaching the surface. The global dust levels have steadily decreased in the past several weeks. 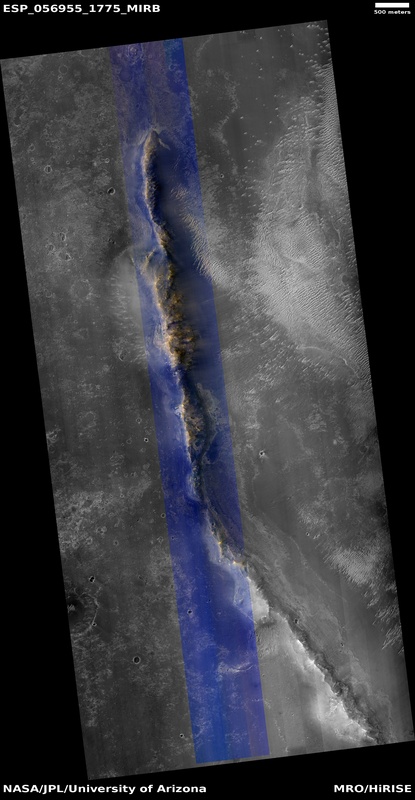 The current tau—an exponential measure of how much sunlight reaches the surface—was estimated to be about 1.3 by MRO’s Mars Color Imager (MARCI) camera, meaning that about 25 percent of the direct sunlight is now reaching the surface. A lack of sunlight caused solar-powered Opportunity to go into hibernation. The rover’s team at NASA’s Jet Propulsion Laboratory in Pasadena, California, hasn’t heard from the rover since. However, given the current level of dust clearing, JPL last week began increasing the frequency of commands it beams to the 14-year-old rover. A key unknown is how much dust has fallen on the solar arrays. 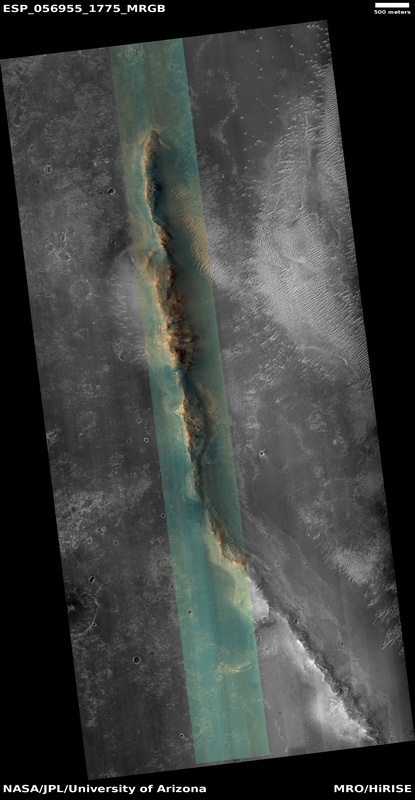 The HiRISE image shows some reddening of the surrounding area, suggesting dust fallout, but it is not possible to determine how much dust is on the arrays themselves. As the dusty sky continues to clear, the frequent commanding will continue and imaging will be repeated.